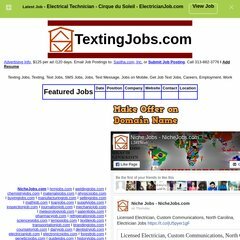 Topics: Jobs, Ad Posting, Info, Great Free Widgets, and Widgetbox. ns20.hostgator.com, and ns19.hostgator.com are its DNS Nameservers. It is hosted by Theplanet.com Internet Services Inc (Texas, Houston,) using Apache web server. Its local IP address is 184.172.165.28. PING (184.172.165.28) 56(84) bytes of data.